"Charming third story condo in gated community. Fabulous pool, clubhouse and dog run. Flowing creek surrounded by lots of trees. BBQ grills at the community pool perfect for entertaining. Great location for shopping and toll road access. Covered assigned parking and plenty of visitor parking." "Updated 1 Bedroom, 1 bath condo on the ground floor with a private, fenced patio in a gated community with secured parking. This community is well-maintained and in a walkable area in the heart of Oak Lawn near shopping, dining, health clubs, Katy Trail and more. Polished concrete floors in the main living areas and new carpet in the bedroom. Leasing Policy of Bylaws: No unit may be leased out for a year after its date of sale. All owners leasing a unit thereafter must seek permission from "
"Gorgeous!!! one story update condominium STUNNING kitchen quartz countertop with marble backsplash, travertine, laminate, building cabinets, recessed lighting, new cabinet in master bathroom so many upgrades, so spacious for the square footage. the location is amazing location close to everything.!!" "Adorable condo that has been fully upgraded! This 1 bed,1 bath, split level condo is in the highly desirable Oak Lawn neighborhood, walking distance to restaurants and nightlife. IDEAL LOCATION! 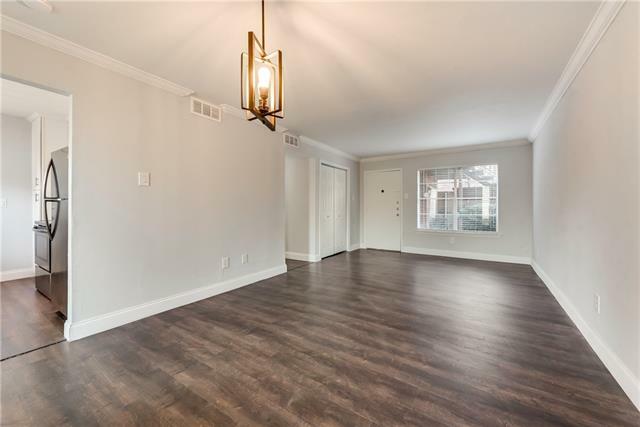 Upgrades includes quartz contour tops, subway tile, stainless steel appliances, stunning shiplap wood-burning fireplace, new AC unit, and 3 WALK IN CLOSETS! This unit has a lot of character and is a dream! Also enjoy your own fenced, private terrace area. Laundry facility located steps from the unit. Cov"
"Small quiet community located in the heart of Oak Lawn. This remodeled condo is perfect for the first time buyer with low HOA Dues and an easy no maintenance lifestyle. This condo is a second level end unit with the master bedroom and study on the third level. Remodeled kitchen includes granite counters, under mount stainless sink with stainless faucet, pass thru bar open to the living area, laminate wood flooring and freshly painted cabinets. Large living room has a great storage space (und"
"Location, Location, Location! In the heart of Oaklawn, 2 bed, 2 full bath 1 story Condo in gated complex offers fresh paint, wood-like floors & is move in ready! Large walk-in closets in each bdrm, comfortable & spacious living room & views of pool & clubhouse surrounded by shady magnolia trees from outdoor balcony. Same floor access to nearby onsite laundry rooms & elevator to underground covered parking around the corner from the condo s front door. Great gated complex with large visitor par"
"LOCATION, LOCATION, LOCATION! Unbelievable opportunity to own an affordable spacious condo in the ever growing Uptown Oaklawn area. 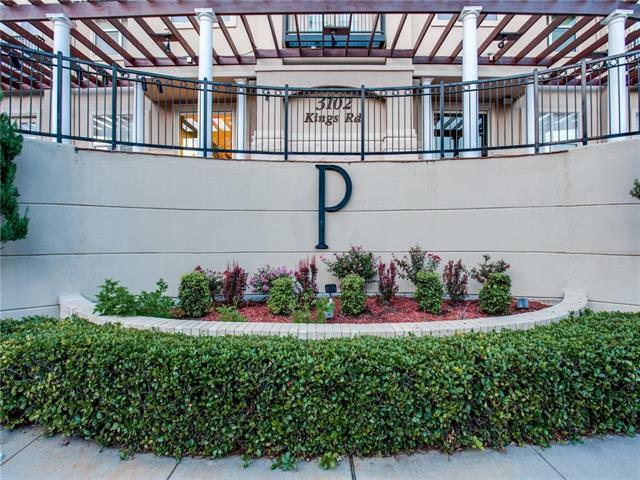 This 2 story end unit condo features an open floor plan, quaint balcony, master bedroom overlooking the living area and assigned covered parking directly below the unit. Elegantly appointed with skylight vauled ceiling, low HOA fees, community pool and tons of ammenities this won't last long. Conveniently located near all major roads, shops and restaurants, this is "
"Do not miss out on this absolute worthy opportunity to live in a boosting location. Features for this unit are One Bedroom, One Bathroom very Cozy Condo with much Natural Lighting coming in. Reserved Parking in front of the Building. Walking Distance to many popular settings in the Oak-Lawn, Cedar Springs, DownTown Dallas area. Come be a part of this very sought-after, rapidly growing superb development. 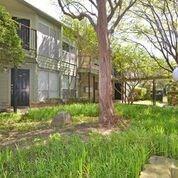 Quick access to major Freeways and Dallas Tollway." 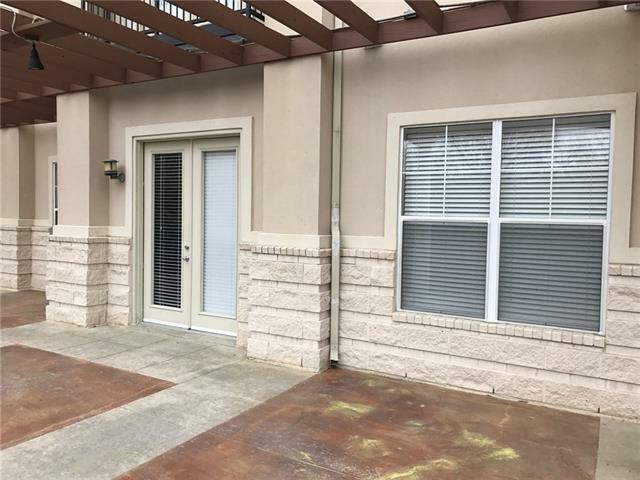 "Ideally located in the heart of Oaklawn, this 2 bedrooms 1 bath first-floor condo offers exceptional and relaxing indoor-outdoor living. The unit includes granite countertops, stainless steel appliances (including wine fridge) and laminate flooring throughout living areas. Both bedrooms are newly carpeted with walk-in closets. The bathroom provides space with contemporary appointments and design. Two huge patios are included in this L-shaped condo and accord any owner a fresh palette for exp"
"This first floor unit has it all! Easy access from the garage and exterior parking lot with a breezeway entrance to the unit. Located close to the pool and community center. The kitchen has been renovated with granite counter-tops, modern backsplash and grey-colored cabinets. The fridge and microwave convey. The dining-breakfast nook is equipped with a beautiful wooden banquet and designer light fixture. The living room opens onto the patio. Both bedrooms are spacious with their own walk-in clos"
"This conveniently located condo has been completely remodeled! 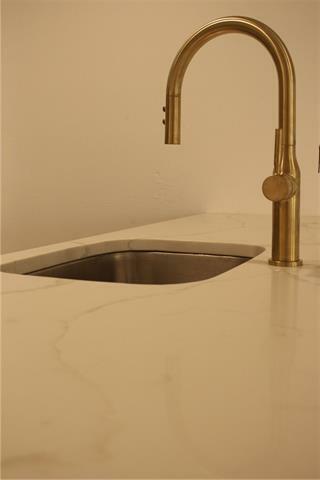 Kitchen has new quartz countertops, new stainless steel appliances, sink, and faucet. Bathrooms have beautiful porcelain tile and marble mosaic. New laminate floor and wood plank ceramic tile. Freshly painted. This is one of the few units in the complex with inside washer-dryer and water heater. This cozy 2-2 condo overlooks the creek and serene environment. Plus, it's Pet-friendly. Be ready to enjoy its walking trails, courtyard, an"
"Completed upgrade condo! granite counter tops, frameless shower doors, ceramic tile, laminate bedroom floors, new ceiling fans, led lights and much more. Washer and Dryer included!!!" "Carondelet Condos are perfectly situated in Oak Lawn, walk out your door to Al Biernets and Equinox. This first floor unit was completely renovated with a new kitchen, bathroom, fresh paint, baseboards, crown molding, and laminate floors. The kitchen's was completely renovated to include a farmhouse sink, new cabinets, floating shelves, and new appliances. All kitchen appliances come with unit. The bathroom has a new vanity, mirror, light fixtures, storage cabinet, and shower fixtures. 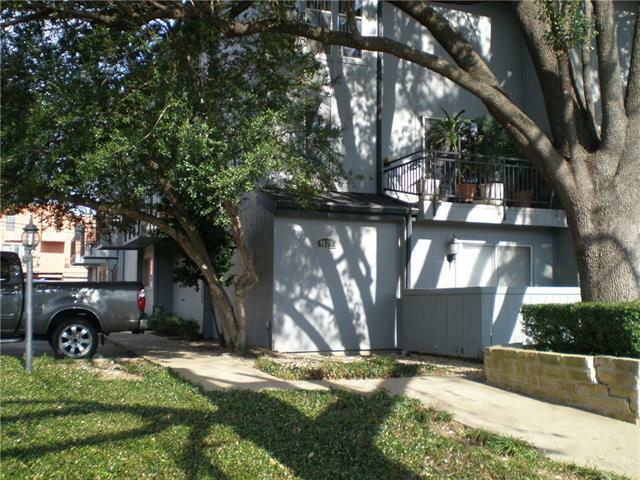 Rela"
"Excellent uptown 2nd floor luxury condo in the Oak Lawn Medical District. Top of the line upgrades include hardwood floors, granite countertops, stainless steel appliance. Large kitchen with an breakfast bar that seats up to 4 people open to a spacious family room that includes a balcony with french doors. The master features a walk-in closet & large bathroom. 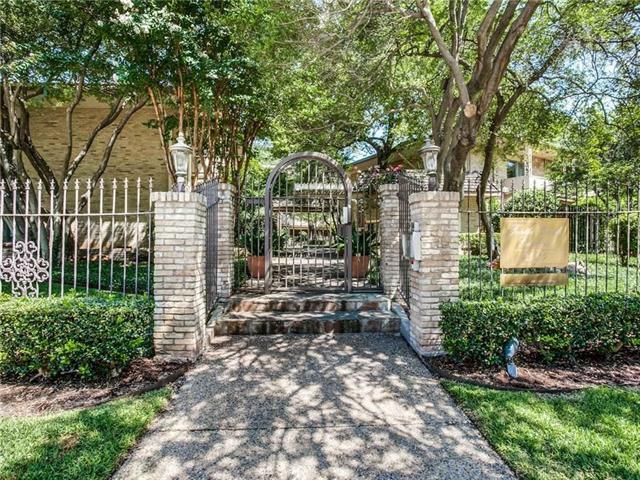 Some of the best common areas perfect for entertaining guest consist of a beautiful courtyard with water fountain, out-door kitchen, loun"
"Top floor condo with high ceilings, oak hardwood floors in a small community conveniently located in N Oak Lawn and very close to Highland Park. Walk your dog along the quiet streets. Cute condo could be a great rental investment or all yours. Light and bright with lots of windows, and a walk in closet. Gated community with covered secured parking too. Nice home at a great price!" 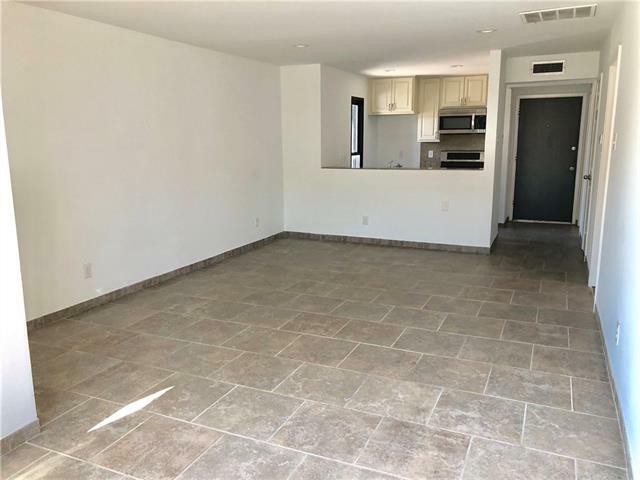 "This is a Darling property, one bedroom, master and bath upstairs, and a half bath downstairs, clean, well maintained, appliances stay, freshly painted, new wood style flooring, adorning fireplace in family room; assigned parking for one car, location is perfect for access to major freeways and toll way. You are in the heart of the city, great restaurants, workout and biking clubs near, close to Katy Trail. HOA repairs to start on March 4, 2019 for the exterior decorative poles and other exter"
"Large One Bedroom One Bath Condo with sweeping views of Highland Park from the balcony. Midcentury modern Iconic High Rise building with beautiful pool, grounds, library, conference room, fitness center and so much more. Walking distance to Tom Thumb and Turtle Creek Village. Utilities included in HOA dues. Plenty of storage with 4 large closets. Perfect Opportunity to Customize to Your own Taste. Each new buyer contributes an amount equal to one months HOA dues to special reserves at closing"
"Great investment opportunity to buy & hold! Lincoln Properties has presented a proposal to City to purchase property & build high-end apartments. Updated 1-story condo in a gated complex located in Uptown! Wood floors welcome you as you enter the living area with a WBFP. Enjoy morning coffee in eat-in kitchen with granite countertops, travertine backsplash, undercounter sink & European style washer-dryer unit. Both baths updated with granite countertops. Master with walk-in closet. Condo feature"
"LOCATION LOCATION LOCATION! Highly sought after first floor unit with French doors that open to courtyard. Large Kitchen with Stainless steel appliances, granite counter tops, tile back splash, breakfast bar, and wood plank laminate floors in living and Kitchen. 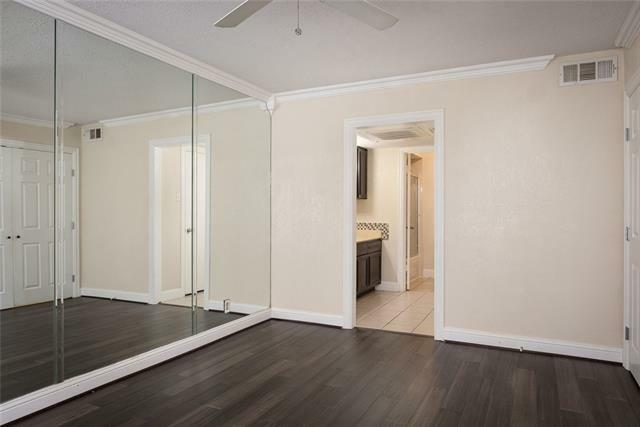 Carpet in bedroom and tile in bathroom with walk in closets. Nicely updated a few years ago. Great home for entertaining, cozy courtyard with outdoor kitchen, beautiful courtyard with water-feature, on-site gym, coin laundry, gated garag"
"Stylish modern end unit has extra windows. 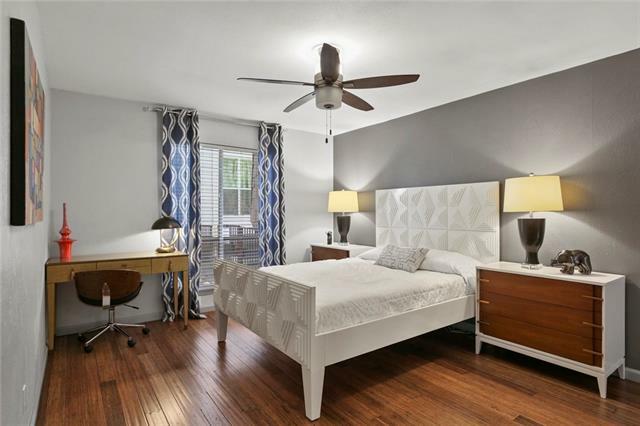 2 bed 1.5 bath condo nestled in the heart of Urban Dallas perfectly located for Medical District, and all the fun of Uptown & Oak Lawn and almost 1000 sq ft. The second bedroom is Loft style so can also work as a home office or Media lounge. Fire Place, lots of Natural Light, Nice Balcony, Spacious Modern Kitchen with Quartz counter tops, Tank-less water heater, Designer Lighting and Paint Pallet. Full Sized washer & Dryer hook ups. Pool & Club House"
"Killer deal in Oaklawn. 2 bedroom condo with direct pool access. 2 covered and gated parking spots. Condo features modern finishes such as granite countertops, real wood cabinets, wood floors, and travetine tile. Great location! Walking distance to Cedar Springs and a skip away from Uptown. Convenient access to the 35 and Toll Way." "Great location and a perfect opportunity for an investment property! Complex is not warrantable. Cash offers preferred. This unit is an amazing opportunity for a buy and hold. The seller must comply with HUD Guidelines 24 CFR 206.125." "Fantastic Location for walking to shops & restaurants on Cedar Springs or Lemmon, near Uptown, West Village, & Downtown. Built-in refrigerator and microwave. Indoor corridor entry with controlled access. First floor, interior hallway, end unit, across from elevator. Complex showcases a beautiful courtyard with fountains, underground parking, pool, social room, coffee bar, grills and business center. Updated bathroom. SS Appliances. Large closet. Convenient location. Easy Access to I-30, I-35E, T"
"END UNIT in highly desired building 3! MOTIVATED SELLER, BRING OFFERS! 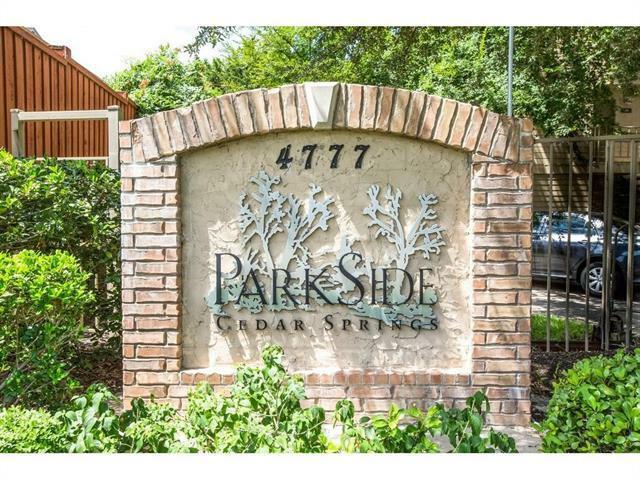 Updated 2-story condo in gated Parkside! This community features a private pool, park and pond exclusive to residents. Hardwoods floors in the living and dining area, SS appliances and quartz countertops in the kitchen, custom blinds, tankless water heater, 2 assigned parking spots, and a side-by-side washer dryer. Large master bedroom on the second floor fits a king-sized bed with full-sized end tables. LOFTED second bedroom"